We are very sorry to whom expected, the title is not about ourselves but just a name of a cafe. It has an atmosphere that Warau salesman, a famous cartoon character is there. I’ve been thinking city needs certain amount of danger and mysterious atmosphere and they produce the certain depth of the cities. Just like this cafe exists. I’m not sure why and how the owner of it decided to name the cafe so, I’m assuming that the owner who had the strength to name the cafe “Nadir” was not at the nadir of his life. We’d like to get in it one day. By the way, the subtitle of the cafe goes as “Wine and spirits cafe”. 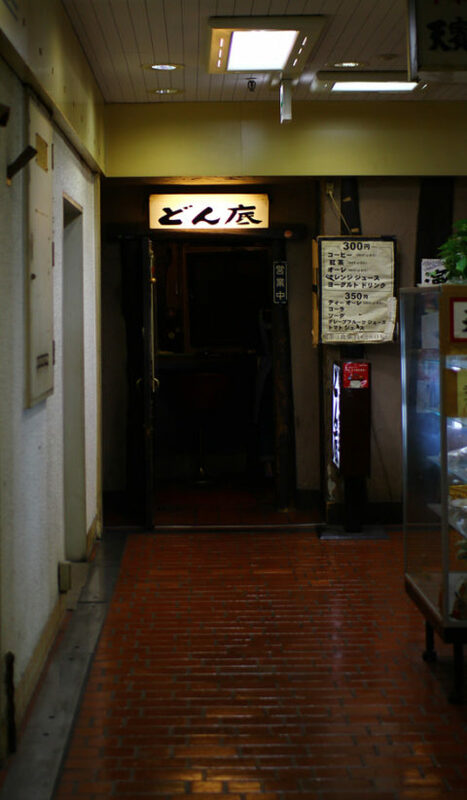 Photo: The entrance of the cafe “Donzoko=Nadir”.